That’s far. In case you didn’t realize it, it’s really far. New York to Los Angeles is 4,490km. Bangor, ME to San Diego is a paltry 5,287km. Think about that – you drive all the way across the US, about as far as you can make it (let’s be honest, there’s nothing in Northern Maine), and you’d still have 1000 miles (1600km) to go. Now let’s imagine you aren’t driving. You are biking. And by biking, I mean pedaling, not riding your Harley Fatboy. If your name is Khai Lee, you don’t have to imagine this, because you’ve just done it. 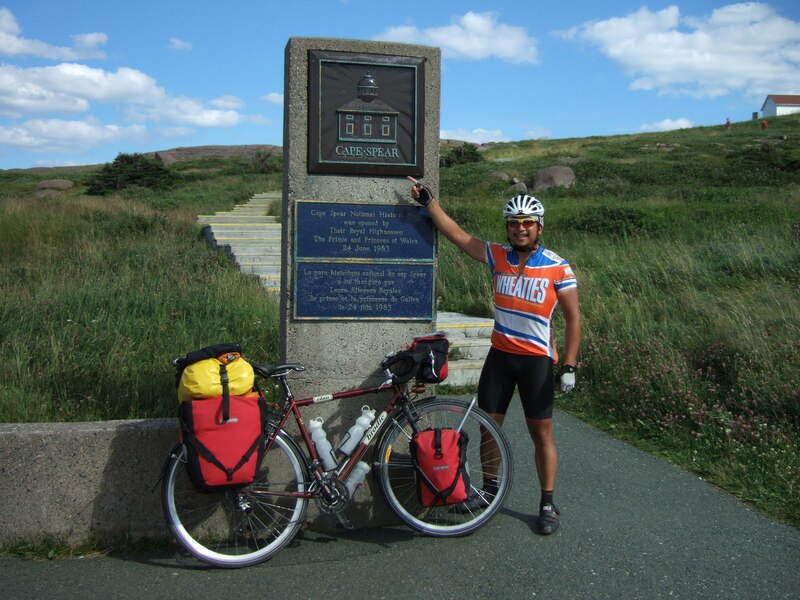 That’s right, my very good friend Khai Lee loaded up his Brodie touring bike, had a bowl of Wheaties, and rode himself across Canada. ALL of it. 6,881.3 (don’t forget those 300m) kilometers. Khai has logged way more saddle time than most folks will in a year or even a lifetime. He has seen his homeland of ‘ockey hair, Timmy Horton’s, moose in a way that allowed him appreciate all of it’s maple-leafy goodness… Impressive, eh? KL, you are a BAMF. That is awesome. Way to go Kai!!!!! Inspiring story! What was his typical “mileage” in a day? Dang I hope that saddle was comfie. What's even more BAMF is that he did it with less than 1000k's of training in his legs since January 1.